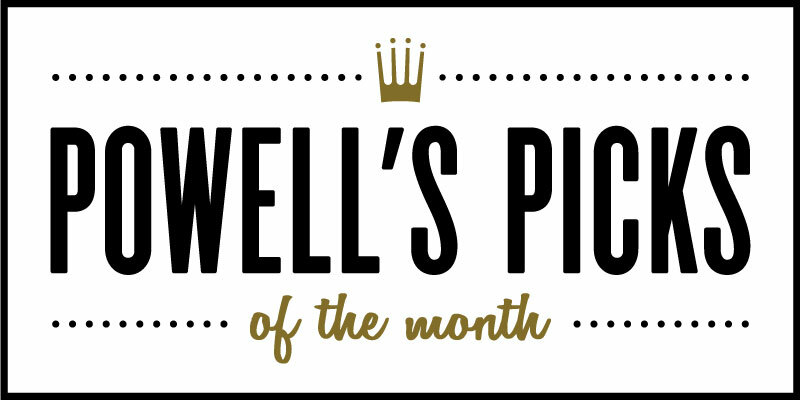 This week we're taking a closer look at Powell's Pick of the Month Black Leopard, Red Wolf, the first book in Marlon James's The Dark Star Trilogy. From the first paragraph, reading Marlon James’s Black Leopard, Red Wolf is like being drop-kicked into the splash page of the trippiest superhero comic you can imagine. Picture Ovid meets Black Panther meets Tolkien meets Octavia E. Butler and you will begin to understand James’s labyrinthine world building, which manifests as a tangle of African and Western literary tropes, aesthetics, and pop cultural references, blending, colliding, and shifting around each other to create a brutal, magical place where the truth belongs to the most captivating speaker. The eponymous Red Wolf is Tracker, a man known for his keen sense of smell. Hired to find a missing boy, whom we’re told from the start is dead, Tracker travels across a fictional, Dark Ages Africa, sometimes alone, sometimes with his shapeshifting lover, Leopard, and eventually with a delightful ragtag assembly of other beings hired to find the boy. Like a lot of fantasy epics, Black Leopard, Red Wolf is very violent; struggles for power and survival dominate the narrative, and James takes the reader into each eyeball-popping, gut-slashing scene with the paralyzing visceral detail of a photo essay. It’s to his credit that the violence doesn’t overwhelm the reader, or overshadow the novel’s keen, if winding, exploration of origin stories and metamorphosis. As critic Michiko Kakutani observes, although it’s easy to get lost in the layered storytelling (at times it seems like each new encounter is wrapped around a new myth that must be told before the plot progresses), ultimately “[w]e read to find out how Tracker became the Red Wolf and how the Leopard became the Leopard. In their beginnings are their ends: the keys to their strengths and vulnerabilities, the source of their drive and ambitions and fears, and clues to the larger goals that endow their quests for self-knowledge with some larger sense of mission.” For all its literary heft, at its heart Black Leopard, Red Wolf is a superhero legend turned up to 11. There are heroes, villains, lovers, betrayals, and awesome acts of bravery. There are tortured characters whose histories are revealed and processed. There are truths and lies, and the uneasy spaces between them where stories are born. James won the 2015 Man Booker Prize for A Brief History of Seven Killings in large part because of his virtuosic ability to weave a polyphonic narrative saturated with violence, sensual prose, and historical significance. Black Leopard, Red Wolf ups the ante by throwing in a major dose of fearsome imagination. We can’t wait for book two.